One of the perks of being a RTI2-B Coach is getting to attend the regional coaches meeting twice per year! These meetings are a great time for networking and celebrating the hard work of our teams. This semester, our site consultant Hether Pflasterer organized a fantastic event where coaches learned all about our Classroom Systems resources. Coaches then had the opportunity to network and discuss relevant classroom management issues with their colleagues through a fun game using stress balls. Our Site Consultants also had informational booths set up on Tier 2 and Family and Community Engagement for coaches to visit at their leisure. Check out the photos below! 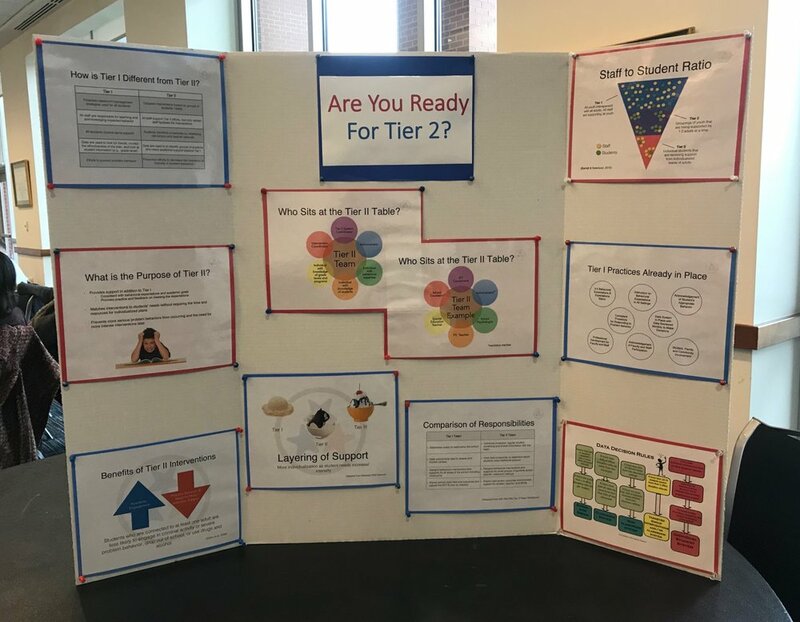 For more information on Tier 2 interventions, click here. For more information on Family and Community Engagement, click here.